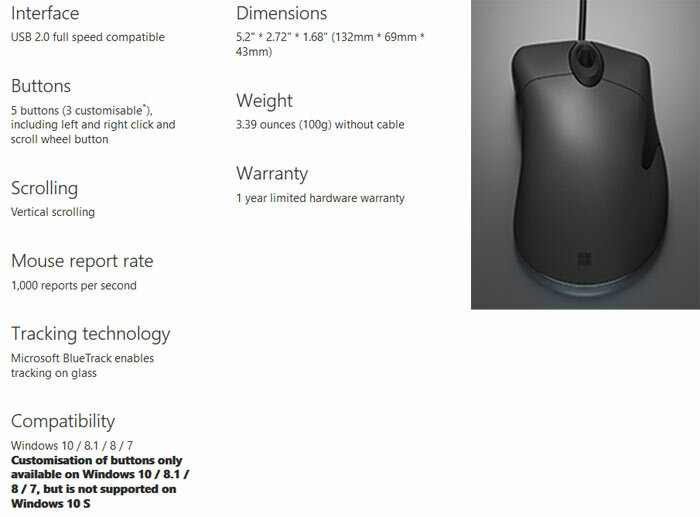 Microsoft's new Classic IntelliMouse is available to purchase now, after being teased a few months ago. To celebrate the release, Microsoft has published a blog post on the history of this iconic mouse series and why it thought it was a good idea to resurrect the product, which was originally launched back in 1996, and last revised in 2003. The original Microsoft IntelliMouse was a hit with general computer users and gamers alike thanks to the synergy of excellent design features all arriving within its form. Within its exceptionally ergonomic asymmetric body Microsoft used high quality Omron switches, an optical sensor with very low error rates and good smoothing, and a very useful scroll wheel. Perhaps the pinnacle of the IntelliMouse design was the third version from 2003, and it is upon this version that the new Microsoft Classic IntelliMouse is based. Microsoft decided to create the new version of this iconic mouse to "reflect on the history of it and do something special for our fans," says Simon Dearsley, Devices Design Director, at Microsoft. 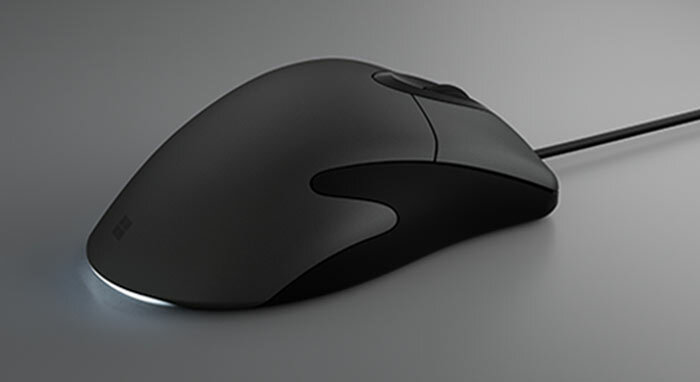 In this 2018 design users will feel in their hands the exact same shape and size of the IntelliMouse Explorer 3.0 from 2003. On the topic of physical properties, Microsoft asserts that the new IntelliMouse is a lot more rigid than the original thanks to new mechanical engineering and structure considerations (I think my old mouse creaked…). Furthermore, inside, Microsoft has updated the IntelliMouse with modern technology. Microsoft admits it has kept the same Omron switches for the left and right click, and has added three Kailh switches for the middle wheel button and side buttons. It asserts that the side buttons are a "huge improvement" as they are now snappy and crisp in response. I've still got one of the original ones. Just about works, though one of the buttons is a bit flimsy these days. I had the wired and wireless ones. The wireless one barely works these days, and the wireless one double clicks by itself. That said, the wireless one IMO was my favourite mouse, decent weight with 2 AAs, not bad battery life, comfortable, wireless range was poo but the receiver was within a foot of the mouse for me and at that range it never failed. It lasted longer than my G700s which started double clicking at the end of it's warranty period. G900 is a bit too light IMO, and the battery dies too fast and it's also non-replaceable. I got one of these given to me whilst I was on a work experience at the local council. It was an awesome mouse that served me well until I got the MX518… which served me even better.